Nancy Beers oversees The CDP Early Recovery Fund, which focuses on supporting vulnerable populations in 10 states in the Midwest, following a disaster. 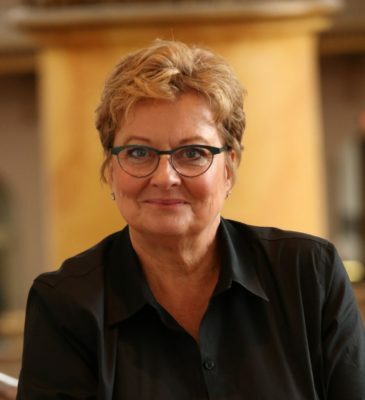 Before joining CDP, Nancy was Senior Director of Disaster Services for Lutheran Social Services of Minnesota where she led disaster long-term recovery work and Camp Noah, a nationally acclaimed trauma recovery program for children. A long-time advocate for children and families, Nancy also served as a court advocate for children for the State of Minnesota. An expert on issues related to children and the trauma caused by disasters, she is frequently called to speak and write on the issue, and provide training to disaster professionals. Nancy was a member of the Disaster Case Management subcommittee for the National Voluntary Organizations Active in Disaster (VOAD) and served as Vice President of Minnesota VOAD. She holds a bachelor’s degree in chemistry and biology from Gustavus Adolphus College in St. Peter, Minn.